We were all a little concerned to see the Nexus program come to an end, but Google assuaged our fears with the 2016 Pixel phones. 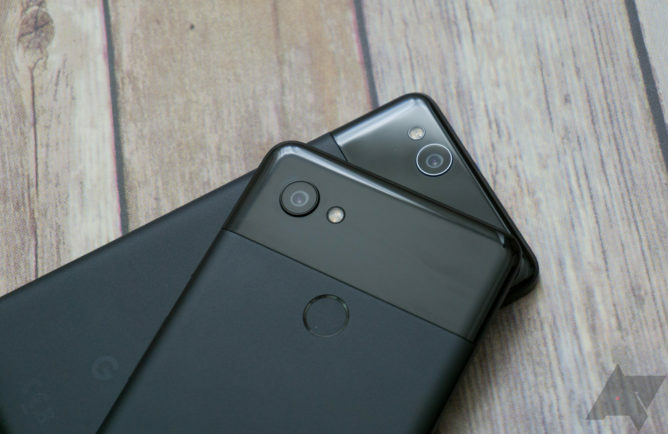 They weren't the prettiest devices on the market, but the Pixels showed what was possible when Google got serious about making a phone. These devices had terrific cameras and consistently fast performance—even to this day the Pixel and Pixel XL are robust experiences. They were not perfect, though. 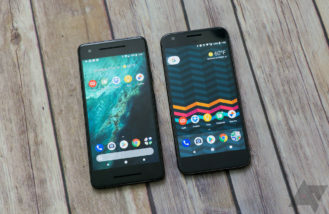 The Pixel 2 and Pixel 2 XL are a chance for Google to address some shortcomings from last year while keeping the things that worked. Google has done that for the most part. The new Pixel phones are still super-fast, and the cameras are even better than last year. The Pixel 2 also has a few new software tricks, and it's water-resistant. At the same time, Google has made the controversial decision to drop the headphone jack, and have you seen the big-honkin' bezels on the 5-inch Pixel 2? Yikes. Even with the handful of questionable decisions, the Pixel 2 (particularly the XL) is a worthy successor to the OG Pixel. There are a lot of excellent Android phones in 2017, but the Pixel is still the best for most people. 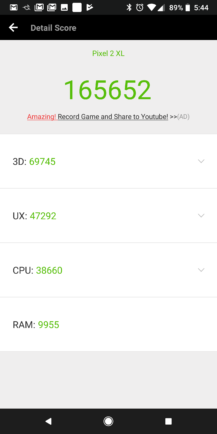 Performance The Pixel 2 and 2 XL are consistently fast with impressively low touch latency. Build quality Solid aluminum construction with IP67 water-resistance. Battery life It's solidly above average. Software This is Google's vision of Android. 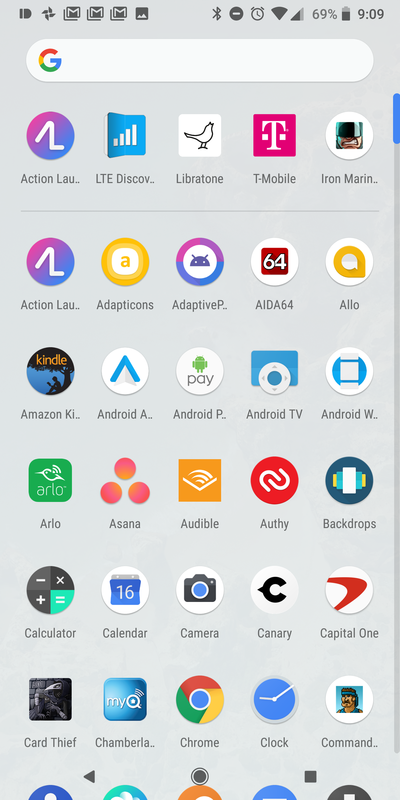 It's mostly stock with a few handy add-ons like the Pixel Launcher and automatic offline music detection. The Pixel 2 also gets updates straight from the source on a regular basis, guaranteed for three years. 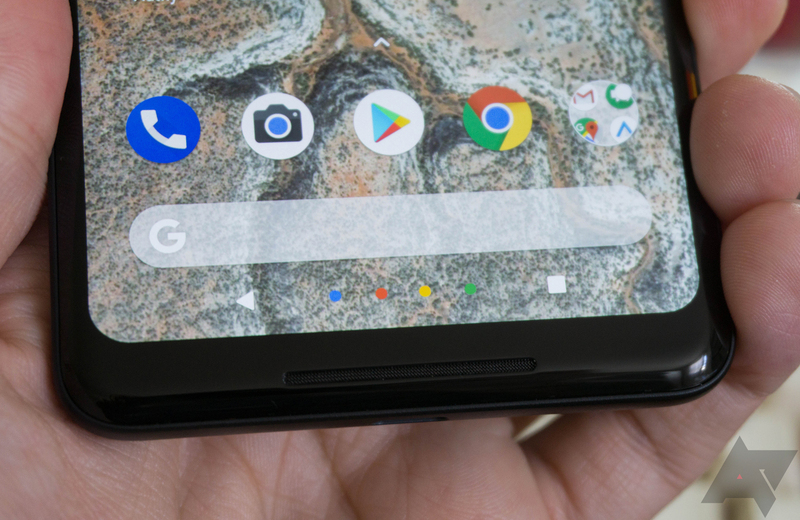 Design The Pixel 2 XL looks great, and both phones have front-facing speakers. Fingerprint sensor It's faster this year and still extremely accurate. 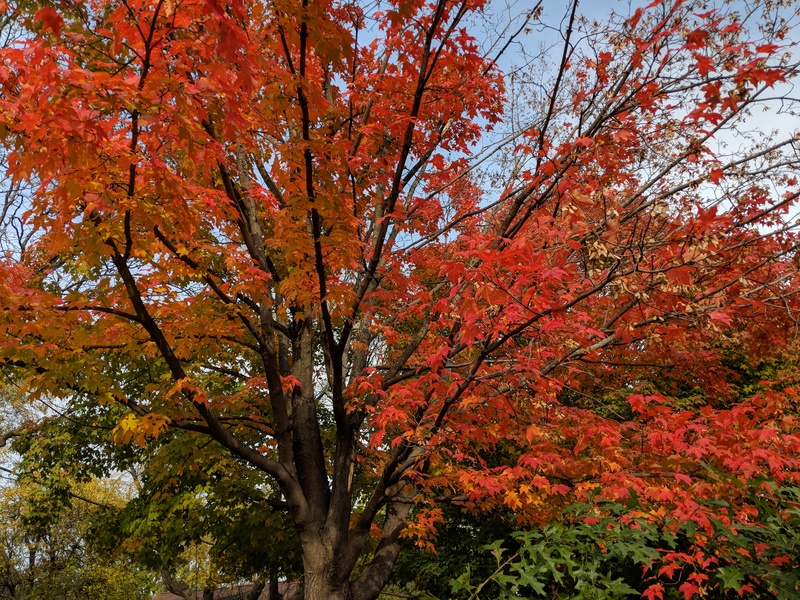 Camera The Pixel 2 captures photos quickly and with excellent results in all lighting conditions. HDR+ continues to beat the pants off of everyone else. The addition of OIS is appreciated as well. Unlocked The Pixel 2 and 2 XL are unlocked with support for virtually all networks, even Sprint and Verizon. Design again The 5-inch Pixel 2 has rather large bezels. There are front-facing speakers embedded in them, but the device just looks a bit clunky. Headphone jack There isn't one on either phone. Camera again This is a minor one, but portrait mode is buggy. You can chalk that up to the lack of a secondary sensor. Software again There are no user controls for app scaling on the 2 XL's taller display. Verizon The only carrier selling the Pixels directly is Verizon (again). Unlike last year, the Pixel 2 and Pixel 2 XL have a number of notable design differences—they're not the same hardware in two sizes, but they do have a lot in common. I'm supremely happy that Google has chosen to continue using aluminum as the main structural element of the Pixel 2 devices. So many phones are using glass back panels now, and I'm sure this trend will only continue now that Apple is using glass again as well. 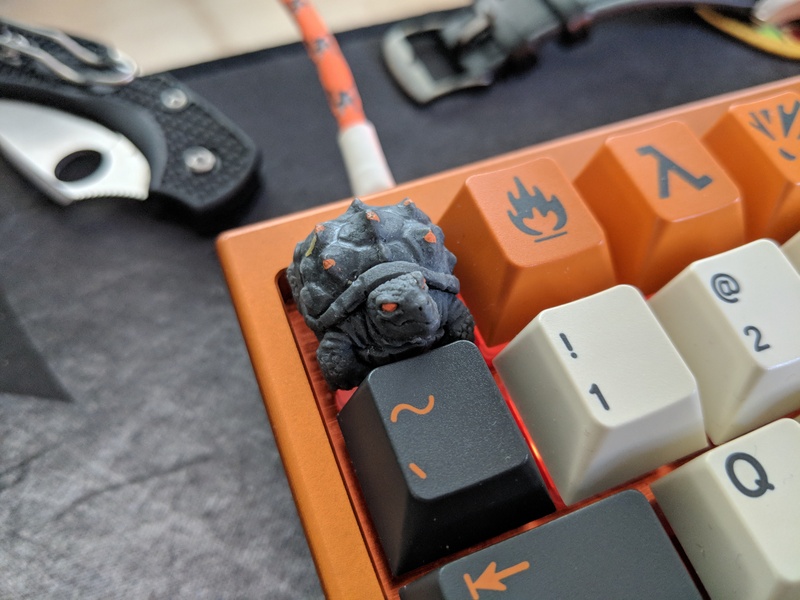 The anodizing texture has a matte look and feel, and it's surprisingly grippy, too. My review units are both the black versions, so I can't say what the panda phone feels like. Since there's no such thing as white anodizing, the white finish is bound to be some sort of paint or lacquer. Additionally, the black finish is more black than the decidedly gray-ish tone of last year's phone. 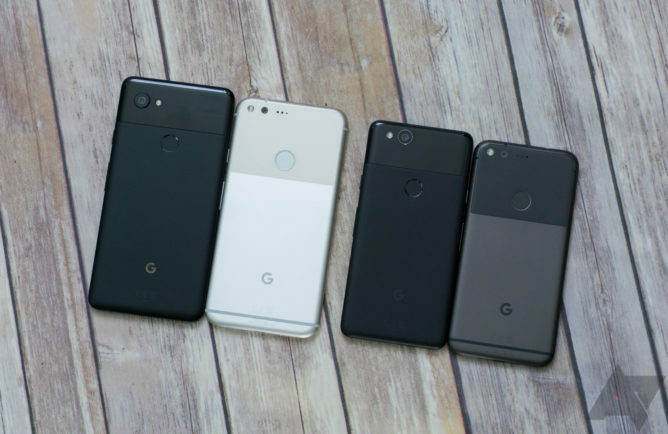 Google's first Pixels lacked water-resistance at a time when an IP rating was becoming table stakes for other flagship phones. 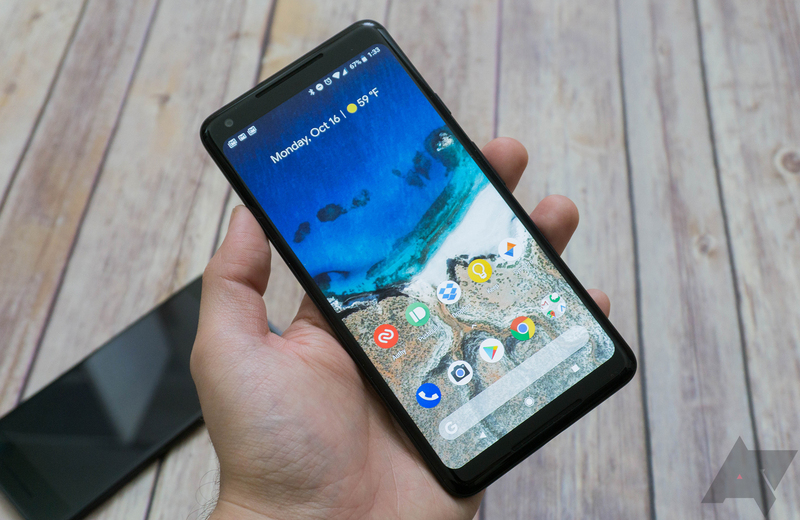 The company is rectifying that with the Pixel 2 and 2 XL. These phones are IP67 rated, so you can submerge them for up to 30 minutes in one meter of water. That's not quite as impressive as phones like the Galaxy S8 that are IP68: it can be deeper for longer. If that ever comes up, though, I think you have bigger problems. In addition to being water-resistant, the new Pixels feel extremely solid in the hand. The bottom half of the phones is squeezable, which Google calls Active Edge. This feature doesn't change the feel of the device compared to the top half, and it can be configured to require a hard or light squeeze. If you set it too light, it can be easy to trigger while picking the phone up, though. 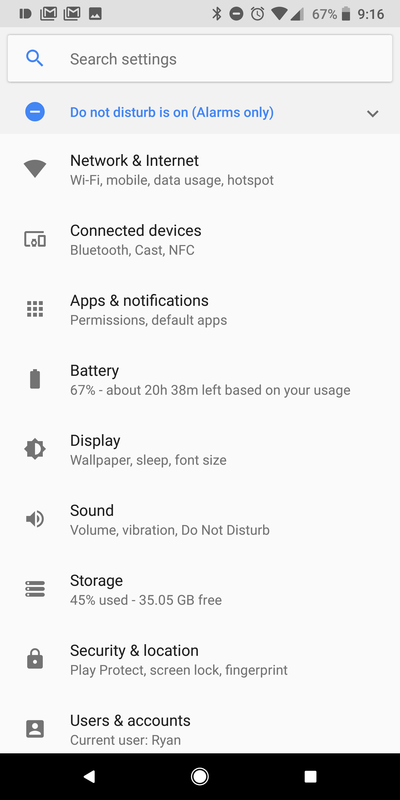 The only issue I have here is that many commands require you to unlock the phone, so Active Edge isn't very useful when the phone is asleep. 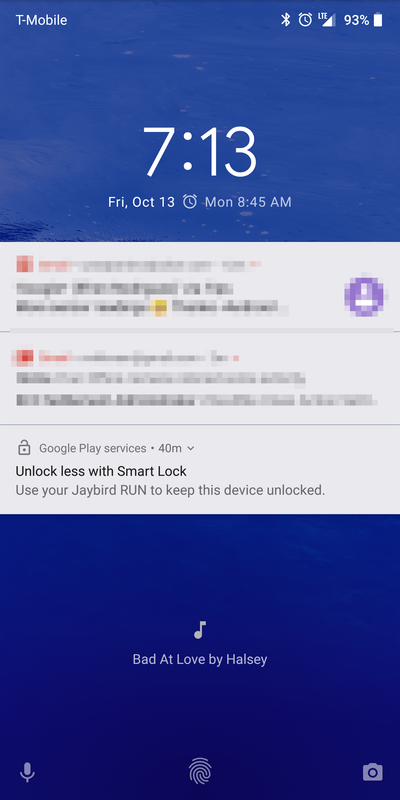 OK Google commands with trusted voice can bypass the unlock problem, so you really don't need Active Edge. The glass window from last year's Pixel is still present, but it's shifted toward the top of the phone. We're somewhere between the Nexus 6P and OG Pixel now. Rather than simply being a flat inlay surrounded by aluminum, the glass curves down at the edges and meets up with the frame in a more deliberate fashion. Toward the bottom of the back panel is an understated Google "G" logo—the only branding on the device. The texture of the logo is the same as the rest of the back on the Pixel 2, but the XL "G" is embossed and smoother than the surrounding material. South of the glass panel is the fingerprint sensor, which has the same pleasing texture as the rest of the back panel. Google says it paid attention to the speed and accuracy of the sensor this year. 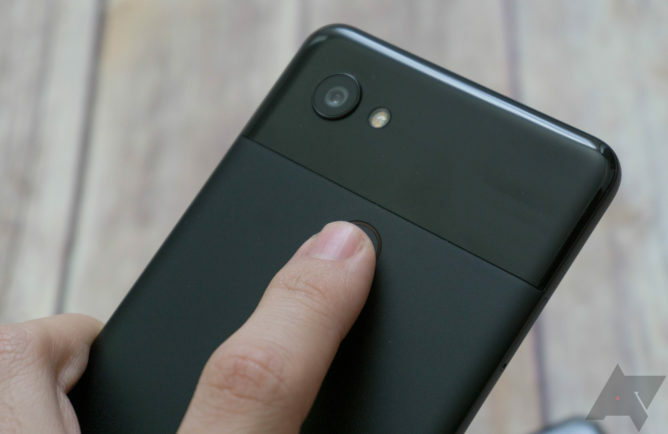 While the OG Pixel had the sensor in the same excellent location, it was slower to confirm a fingerprint than many other phones. 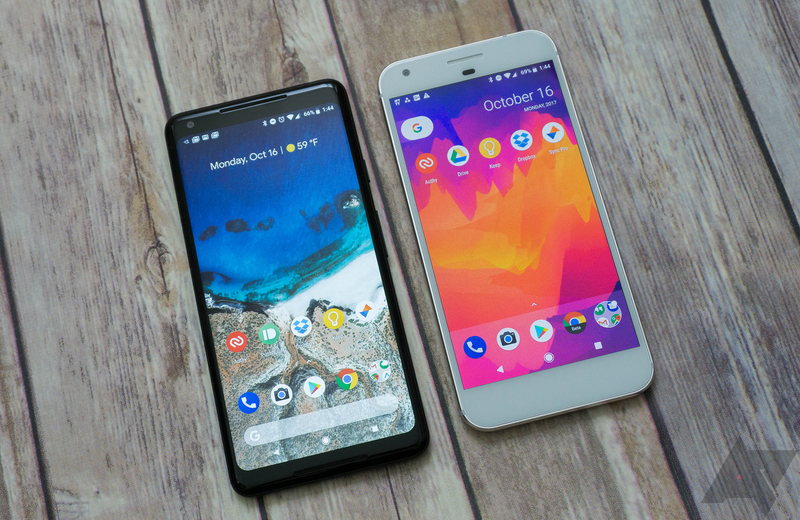 The Pixel 2 and 2 XL seem about twice as fast to unlock as the 2016 Pixels, which makes them much more competitive. I'd say it's still a hair behind the OnePlus 5, though. The 2 and the 2 XL use the same style for the camera module and flash, but the layout is mirrored. On the 2 XL, the camera is closer to the edge of the phone and the flash is on the inside. On the 5-inch Pixel 2, the camera module is on the inside and the flash is closer to the edge. It makes the Pixel 2 look slightly awkward compared to the 2 XL. The edges of the phone are made of the same grippy anodized aluminum with slightly rounded-off corners to keep it from feeling sharp. 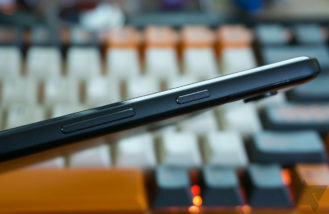 The SIM card slot is on the left edge (there's also an eSIM inside), and the buttons are on the right. There's a nice tactile click on both the volume rocker and the power button. Although, there's just a bit more play than I'd like on the power button. It doesn't move around enough to rattle, but you can feel it wiggle around under your finger. The front glass curves down to meet the edge, but the degree of this slope varies between the two phones. The XL has "3D glass" that makes the phone look rather like the Galaxy S8 when the screen is off (the OLED panel is still flat), and the regular Pixel 2 has "2.5D" glass with a less extreme curvature. In both cases, the phone is more pleasing to hold than the OG Pixels, which had a very sharp transition from glass to the metal frame. Let's move around to the bottom of the phone, where your anger will undoubtedly begin to percolate. There's a USB Type-C port here—the only port on this phone. I'll just say, I hate this trend of removing the headphone jack. 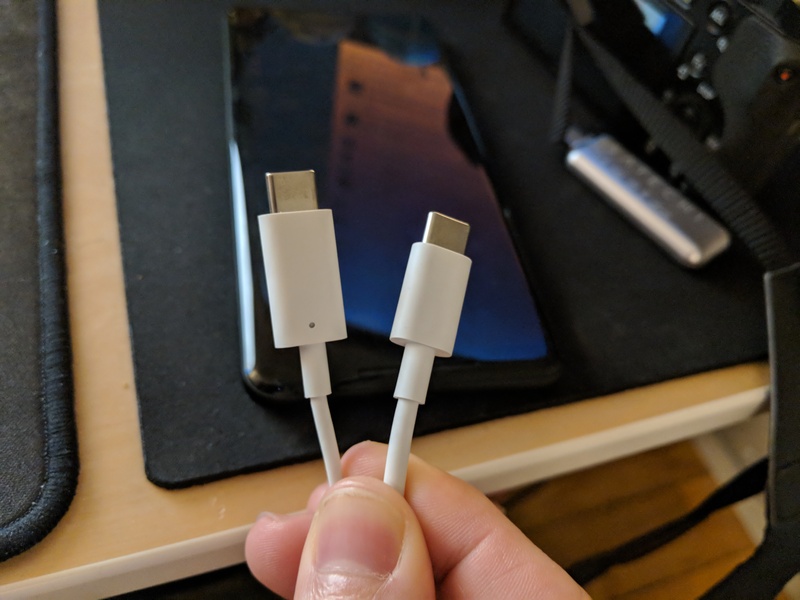 It's hostile to users, and Google deserves ample derision for removing the jack just a year after bragging about having one at the OG Pixel unveiling. The phone includes an adapter for 3.5mm plugs, but that's just something else to lose. I've tested the adapter, and the audio quality seems fine to me. However, I'm using fairly mid-range IEMs that cost about $80. This isn't a deal breaker for me, but I can understand someone who owns expensive headphones refusing to trust audio conversion in a cheap dongle. Google is pushing Bluetooth as a solution, which I'll cover in detail later. Both devices have front-facing stereo speakers, a feature I really appreciate as so many phones are just doing the single bottom-firing speaker. That's far too easy to block with your hand while using the phone, so the Pixels score some points here regardless of the speaker quality. Just having the sound blasting at you is a real benefit, and Google played it safe with the speakers. They get very loud without distortion on the XL, but the regular Pixel seems not as loud and a touch more prone to distortion. The sound profile is flat with very little bass (obviously), but an EQ setting can help that. The speakers can maybe help justify the larger bezels on the Pixel 2. I still think the device looks somewhat chunky from the front, just from an aesthetic point of view. The bottom bezel is around the same as the 2016 Pixel, but the top one is slightly larger. The 2 XL has top and bottom bezels that are only about half as large as the 5-inch phone's. So, why are they so big on the small phone? Perhaps it has something to do with HTC manufacturing the small Pixel 2, or it could simply be a shortage of space for the internals, but that's all just speculation. The Pixel 2 XL looks sleek, and dare I say, beautiful. The advantage of the smaller Pixel is that it's easy to use with one hand. Still, you have to give Google props for making the smaller phone every bit as powerful as the large one. The Pixel 2 has a 5-inch 1080p OLED panel, which is essentially the same setup as last year. The Pixel 2 XL is a big departure, though. It's a 6-inch OLED with a taller 18:9 aspect ratio and a matching resolution of 2880x1440. The corners are also rounded like the V30 or Galaxy S8. The upshot of the taller screen is that more of the device's surface area is covered. 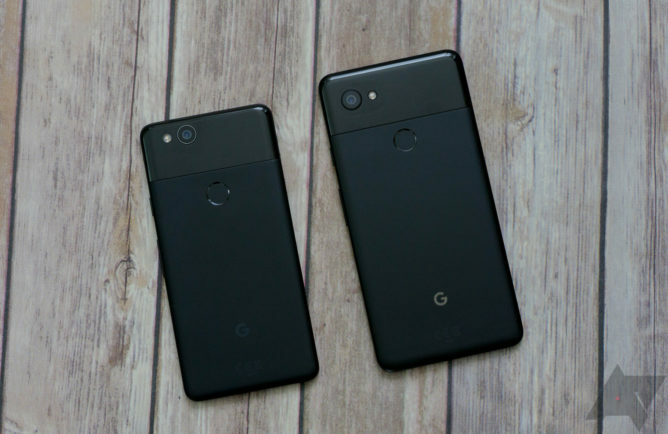 Compared to the smaller Pixel 2, the 2 XL looks much more modern from the front. The question of display quality has been hanging over Google's proverbial head ever since the first hands-on impressions of the LG V30. 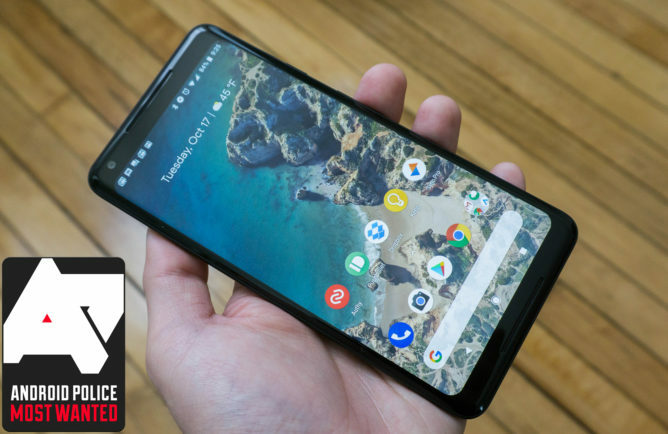 That device sported the first mobile OLED panel from LG's revitalized operation, in which Google invested heavily to secure panels for the Pixel 2. 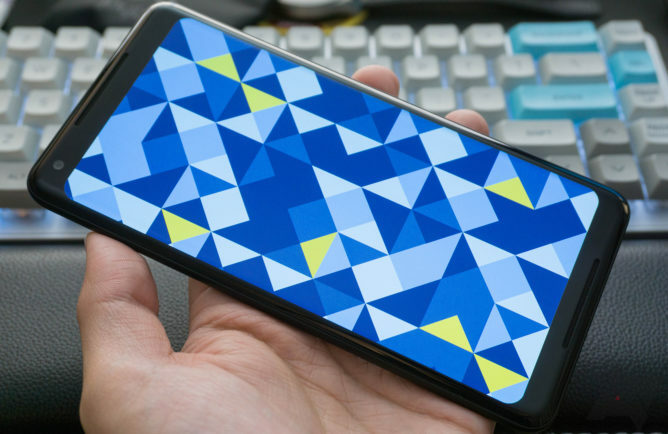 The V30's screen isn't bad, but it has a few visual issues that we haven't seen in Samsung's Super OLED tech for several years. I've compared these devices side-by-side, and the panels used on Google's phone are noticeably better than the ones LG is using on the V30. 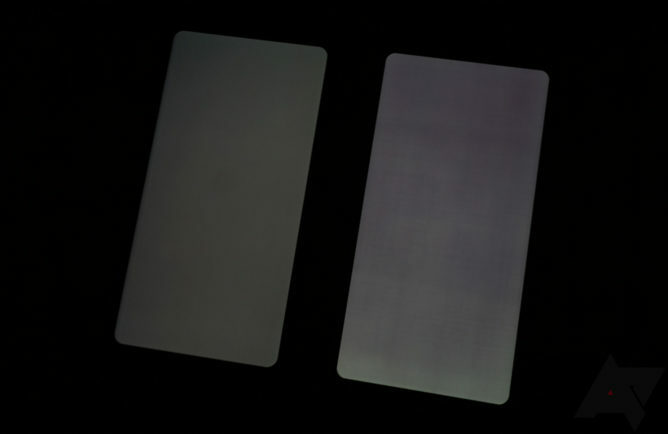 The image above shows the LG V30 (final retail unit) next to the Pixel 2 XL, both on low brightness displaying a solid gray background. The V30 looks rather warm, and there's a lightening at the bottom of the panel. That's not backlight bleed because OLEDs don't have backlights. I don't know how you make an OLED do that, but LG found a way. You'll also note the banding David talked about in his initial hands-on (and he wasn't alone). This is known as a mura effect, patterns of blotchiness that used to be common on OLED displays (Samsung solved this some years ago). However, these issues are not inherent to LG's panels—look at the Pixel 2 XL. 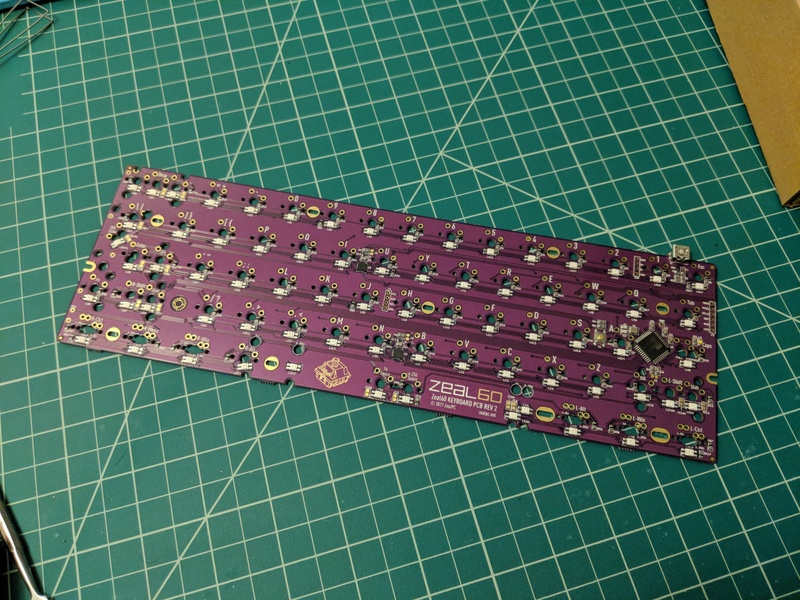 The color is even, well-calibrated, and there's no visible banding. 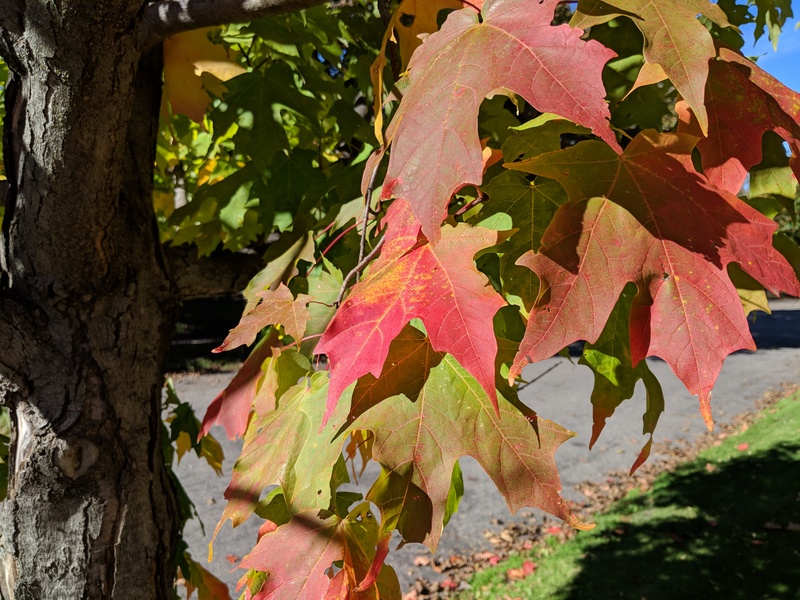 To be clear: you can see this effect on the V30 during daily use, but it's not obvious unless you're looking at a solid color and the brightness is at least somewhat low. I'm relieved this isn't an issue on the Pixel because it bothers me when using the V30. 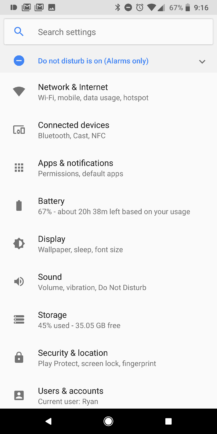 I have noticed some ghosting at low brightness on the Pixel 2 XL. This is still a problem on Samsung's displays, too. Although, those panels get dimmer than the Pixel's, and the ghosting isn't as severe. The screen also has a very mild "textured" look at low brightness, but it's not anywhere near as bad as the banding on the V30. I'm not sure about the provenance of the 5-inch Pixel 2's OLED panel. It may even be a Samsung part. The ghosting isn't as obvious on this one, and the grays are even more consistent. 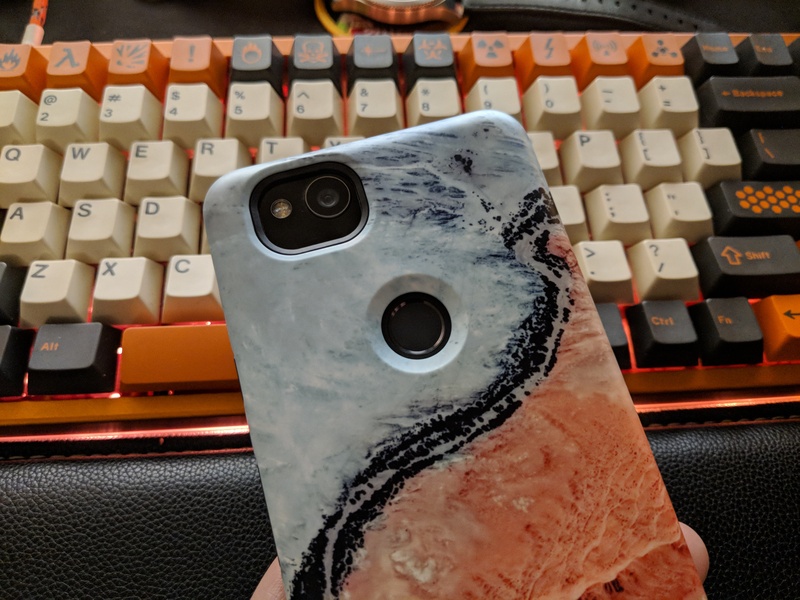 Out of the box, the Pixel 2 and 2 XL colors looked a bit flat to me, but that's because I had been using the LG V30 immediately before. 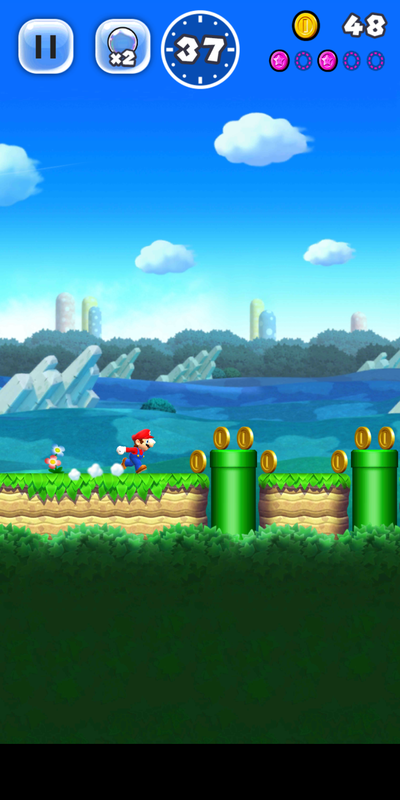 That phone has really pumped-up color saturation, whereas the Pixels appear to be targeting more realistic colors. After an hour or two, the colors didn't look flat to me anymore, and I find that I quite like the way photos and videos look. Apps can specify a wider color gamut if necessary, but the phone defaults to these very accurate colors. They might not be to everyone's liking, but this is a good baseline. 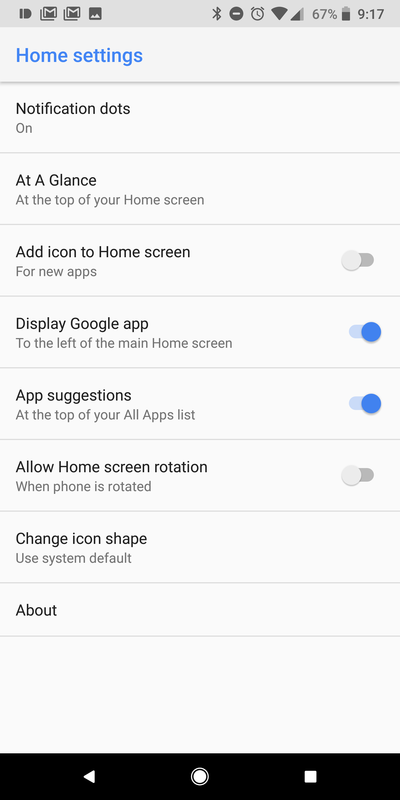 There's a "Vibrant colors" toggle in the display settings. With that disabled, I believe these phones are locked to sRGB. Brightness has been improved from last year. The Pixel 2 and 2 XL can go a little dimmer and brighter than the OG Pixel. However, Samsung's latest Super AMOLED panels still outshine (literally) the Pixel 2. The OLEDs on the new Pixels are plenty bright enough to read outside in most conditions, but they could be better. Both phones have the same 12.2MP image sensor with an f/1.8 aperture, and there's no secondary camera like so many other phones have lately. Still, I'm confident saying the Pixel 2 and Pixel 2 XL take the best photos I've ever seen from a phone. That's not just a function of the hardware, but Google has the best image processing technology to reduce noise and improve dynamic range. When other phones might need two or three tries to get a shot, the Pixel nails it the first time. 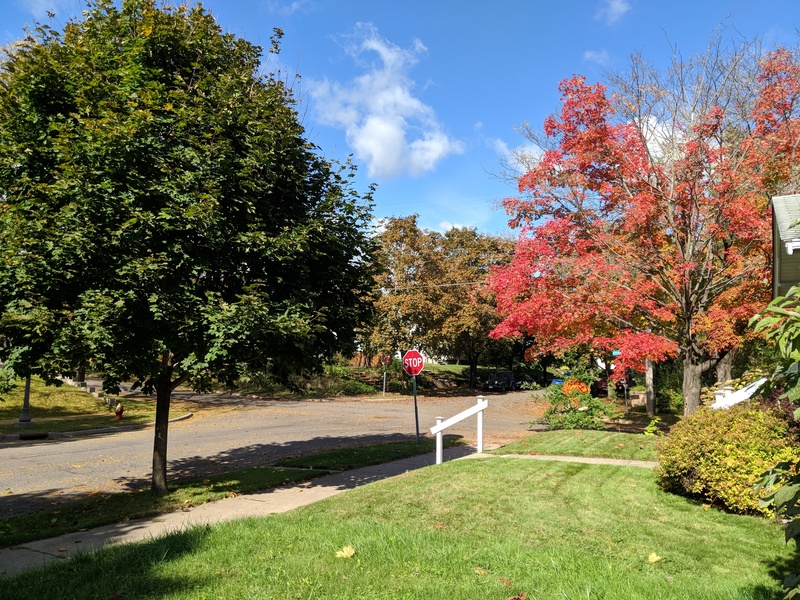 In outdoor lighting, the Pixel 2 and 2 XL show impressive detail and exposure. You can take a photo outside with bright sky and shady foreground, and the phone can resolve detail in both areas. Color representation looks very accurate to me, and focus is lightning fast as well—the camera has both dual-pixel and laser autofocus. Portrait mode is an option on the Pixel 2 because everyone expects it now. Without a secondary camera, Google is relying entirely upon software processing. 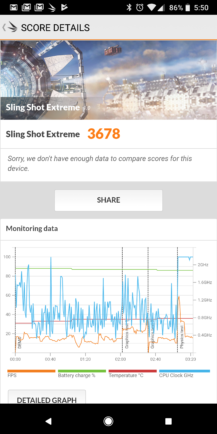 The results are okay, but many phones with a secondary sensor can do this better. White balance is absolutely top notch on these phones. A lot of phones will spit out yellow-ish photos indoors with middling light, but the new Pixels still produce accurate images. Capture speed remains fast, too. Noise is also an issue with many phones in low light, but Google's HDR+ processing is almost magical in this regard. After taking a photo, you can open the gallery and watch as HDR+ is applied. Noise and graininess simply disappear, but there isn't even that much noise often times. These sensors pull in a lot of light, so the ISO rarely even crosses 1,000. I've also noticed images are even less prone to blurriness than on last year's Pixels, which I suppose can be attributed to the addition of optical image stabilization to go along with electronic stabilization. The EIS on the 2016 Pixel could make video look wonky, but Google says it has revamped the system this time to eliminate the "Terminator" effect. I don't shoot a ton of video on my phone, but it does look more natural now. At the same time, video is stabilized extremely well. It almost looks like you have the phone mounted on a tripod. Speaking of video, the Pixel 2 and 2 XL are basically always recording video when you snap photos. It's called "Motion Photos," and they're captured by default with every still. 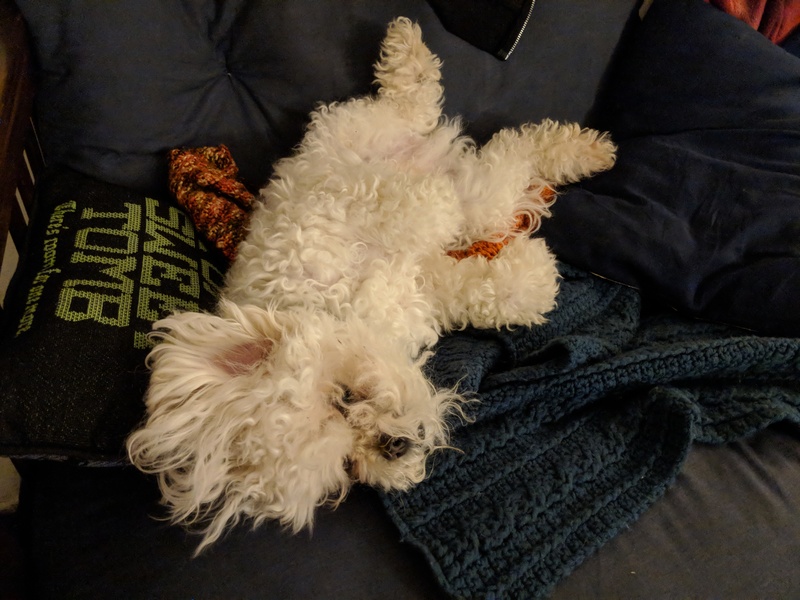 They have a lower resolution and framerate than videos you'd capture manually (15fps and 1024x768), but they add some life to your gallery and sync to Google Photos. If you like the video, you can save it as a separate file with the option to keep it cropped to reduce shake or get a little more resolution without the crop. Sometimes Motion Photos are genuinely cool and I catch myself smiling at them, but they're basically useless when you're taking a photo of something that doesn't move. Not all phones with a Snapdragon 835 are created equal—this is what we've learned from using devices like the V30, Galaxy S8, and OnePlus 5 in the space of a few months. The Pixel 2 and 2 XL use the Snapdragon 835 to great effect. They're fast and stay that way no matter what you're doing. There's basically zero lag, even during device setup, when updating a ton of apps, or immediately after a restart. 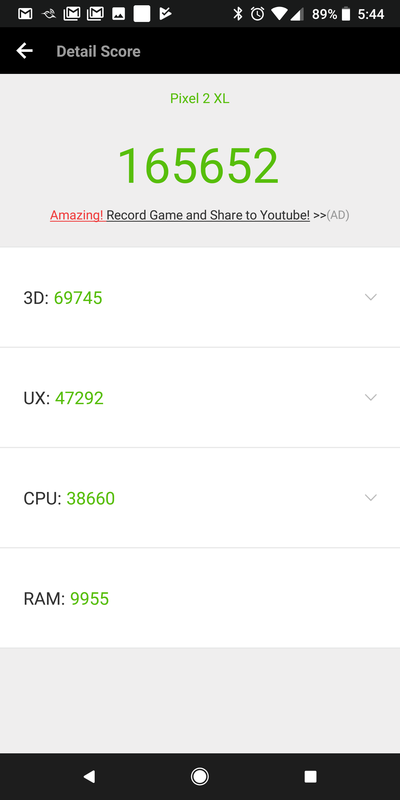 Even the fastest non-Pixel Android devices will drop a frame here and there under such conditions, but not the Pixel 2. 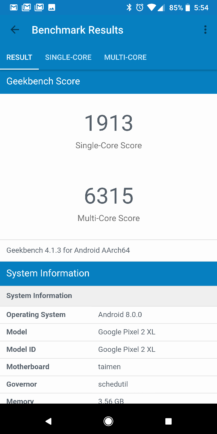 This isn't just about raw speed, but there are some benchmarks available below. 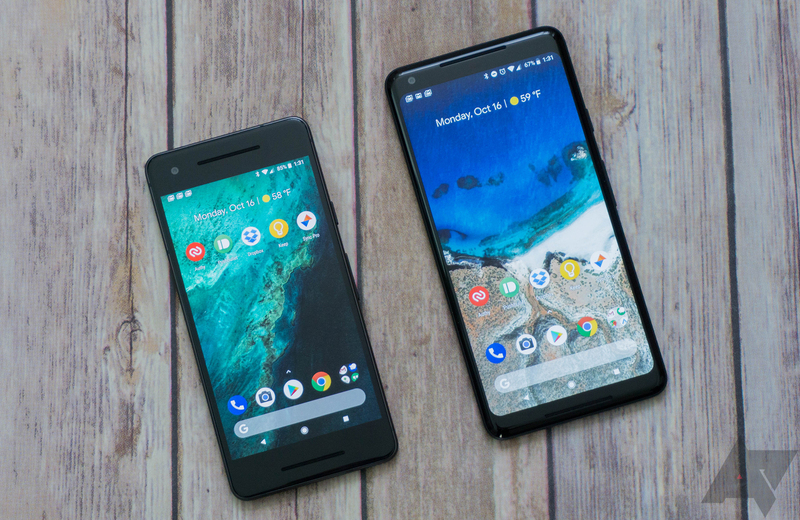 What really sets the Pixel 2 and 2 XL apart is the consistent responsiveness. The interface feels fluid and alive in a way that many other phones don't. The Pixel 2 is always ready and the touch latency is extremely low—there's no waiting for things to happen. Another flagship phone might open apps quickly or multitask well, but then they'll lag while scrolling or the keyboard takes a few seconds to pop up. Battery life is always hard to gauge because everyone uses phones differently. Before I lay out my battery life experience, you should know a bit about how I used the phones. Most of my usage consists of messaging, managing email, and browsing the web. I have three email accounts syncing to the device, and I usually have an Android Wear device paired. I also played some games and streamed music from Play Music over Bluetooth while testing. 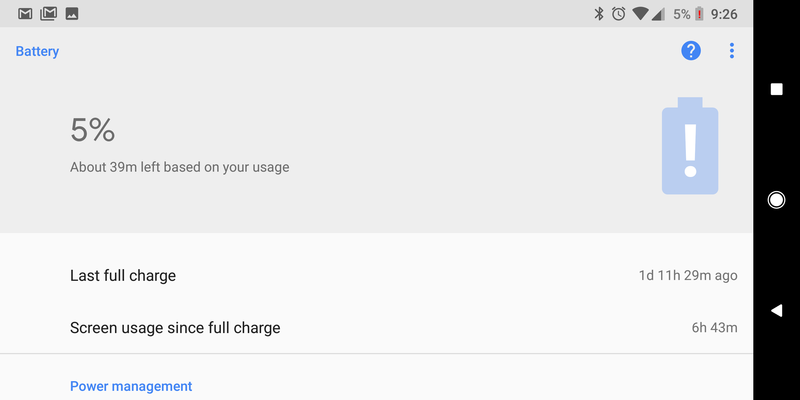 With the Pixel 2 XL, I have been getting extremely good battery life. With heavy usage over a day and a half, this device is getting well over six hours of screen time. I hit nearly seven hours a few times. I haven't had time to get a good handle on the Pixel 2's battery life, but it's looking like around an hour less screen time with similar usage. I'll update the review when I have more detail here. 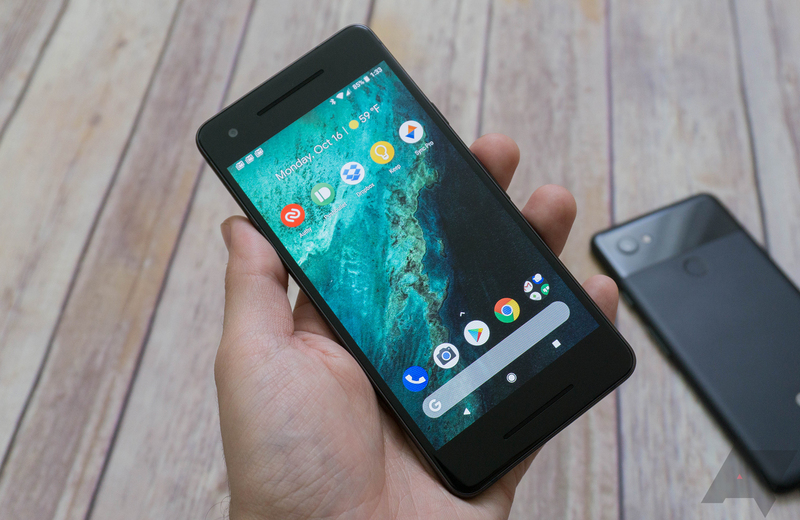 The OG Pixel had fine battery life, but the Pixel 2 seems like a substantial improvement. I assume part of that is Oreo's more restrictive background task management, but the Snapdragon 835 is probably a contributing factor as well. Without a headphone jack, Bluetooth performance is more important than ever. Last year's Pixel didn't exactly fill me with confidence, either. Despite past issues, Google appears to have nailed Bluetooth on the Pixel 2. I can leave the phone on the desk in my office and go to a different part of the house without losing connection. The range isn't as good as some other phones, but it seems good enough. 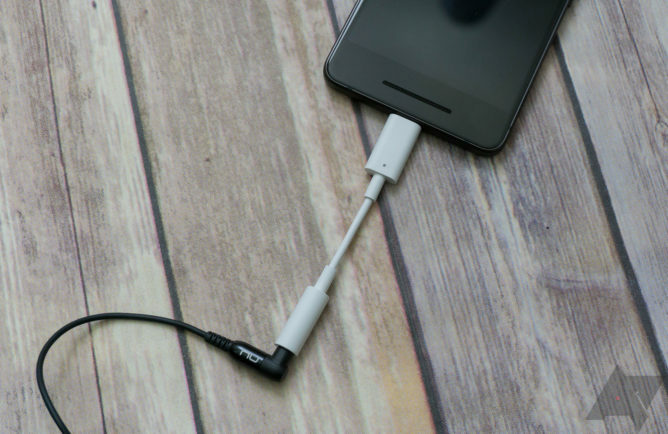 Simply putting the OG Pixel in your pocket could screw up the connection. There's no such issue on the Pixel 2. The Pixel 2 and 2 XL ship with Android 8.0 Oreo, but it's not a bone-stock version of the OS like Nexus phones used to have. 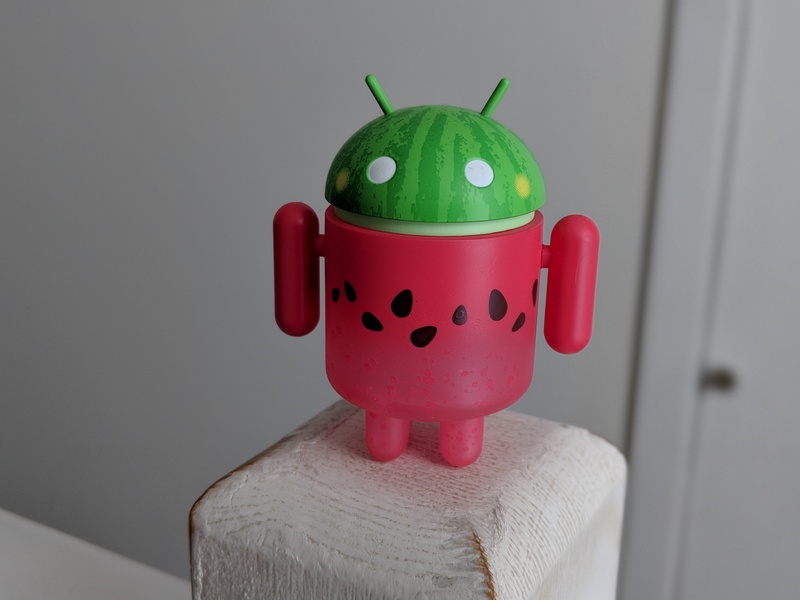 Google is making changes to Android so it can offer its ideal vision for the OS. Plus, you get system updates for three years. Last time around, the Pixels shipped with a new launcher and Google Assistant integration. 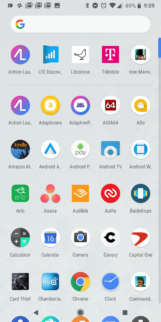 This time there's Google Lens (a temporary exclusive), more granular 25-step media volume, automatic song ID, and various launcher improvements. 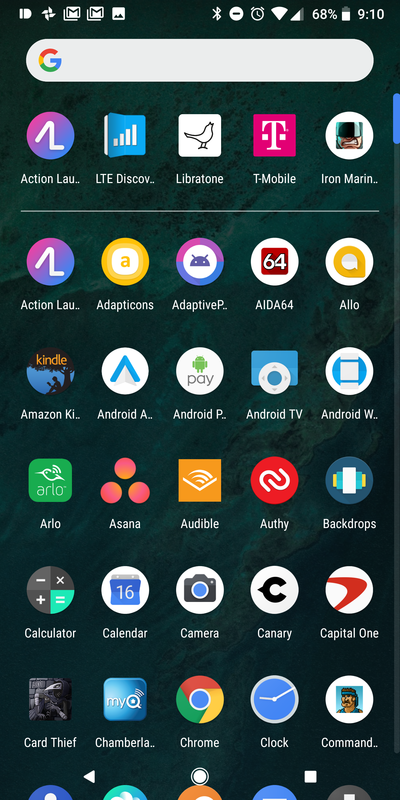 The updated Pixel Launcher moves the search bar to the bottom under the favorites tray. 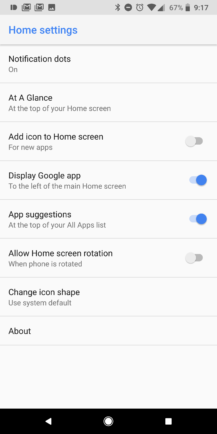 This makes it easier to tap when using the phone with one hand, but you also need to reach up a bit higher on the screen to swipe between home screen panels. Where the old "pill" widget shared space with the weather widget previously, there's now a new widget called "At a Glance." 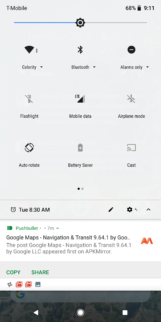 It shows you the weather, date, upcoming calendar appointments, and traffic conditions. The latter two can be disabled in settings. I thought I'd find the calendar appointment integration annoying because I have multiple synced calendars, but it only shows events on your own calendar. That's actually useful for filtering out the noise. 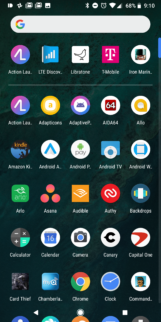 I was honestly perplexed when I started using the Pixel because the launcher theme switched from light to dark while I was using it. The quick settings, app drawer, and folders all flipped over to black from the usual white. What I eventually realized is the Pixel 2 automatically changes the theme based on your wallpaper. 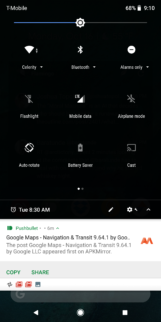 Lighter images get the light theme, and darker ones trigger a black theme. It's the sort of thoughtful feature I would never have expected to see on Google's version of Android in the past. Also, look at this lovely live wallpaper. Look. At. It. The automatic song ID feature sounds like crazy nonsense magic, but it works. The Pixel 2 is always listening for music to identify, but it doesn't need to send data to Google to tell you what that song is. 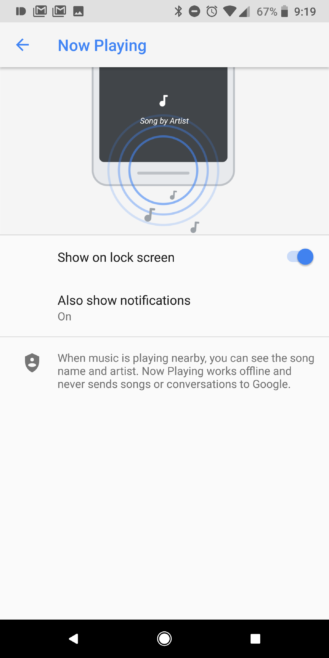 The phone has the necessary data saved locally to identify a few thousand of the most popular songs, which Google says takes care of the bulk of song ID requests. When a song is detected, the artist and song title are shown on the lock screen and in ambient display mode. 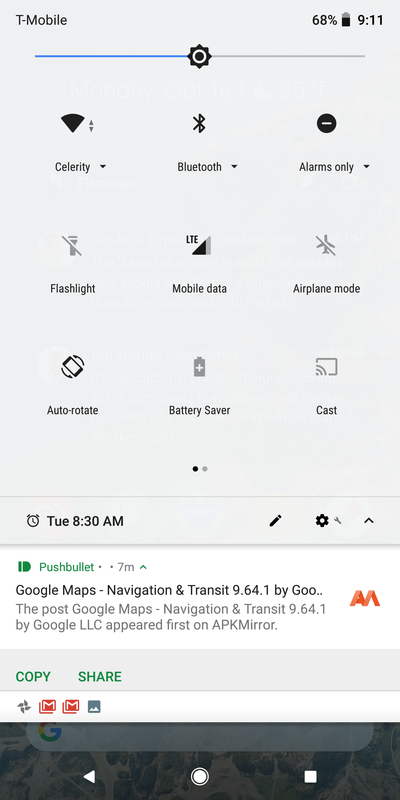 By the way, ambient display now has an always-on option on the Pixel 2, so you can always be alerted to nearby songs. Assistant on the Pixel 2 can do song IDs now as well. In my experience, the automatic song ID works well. It picks up songs playing at low volume in the gym, where there's a lot of unrelated noise. It only needs around 10-15 seconds of music to begin showing a match on the lock screen. You can tap on the song ID to get more information, which will reach out to the internet. The main drawback is the small number of songs (compared to all the songs you might encounter) that can be identified in this fashion. OEMs that have chosen to move to a taller screen shape have various ways to deal with apps that don't scale correctly. This problem is more pronounced with full-screen content like videos and games. For example, Samsung adds a filler bar at the bottom of the display that offers the option to zoom and crop the app. LG also offers the option to change the way apps are scaled so you don't end up with black bars. 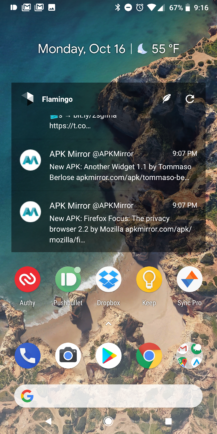 Google doesn't seem to have any scaling options, so most apps just render however they render. For apps that don't adjust correctly (not most, but plenty), you get a slightly taller navigation bar. 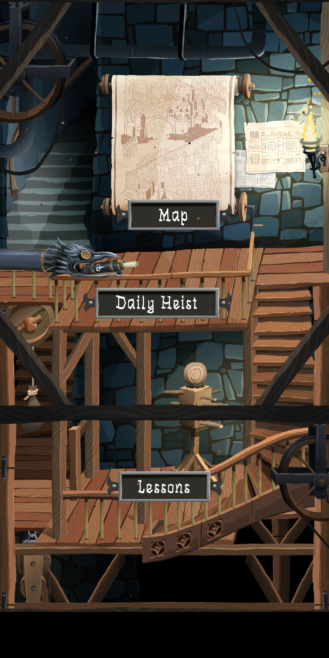 Full-screen content has one giant black bar at the bottom of the display, which seems odd. It would look better with a smaller back bar at each end, in my opinion. Content that doesn't scale properly on the XL is shifted to the top of the screen. Google Lens is currently exclusive to the Pixel 2 and 2 XL, just like Assistant was when the 2016 Pixels launched. It'll probably come to more devices soon, but for now it's in beta. 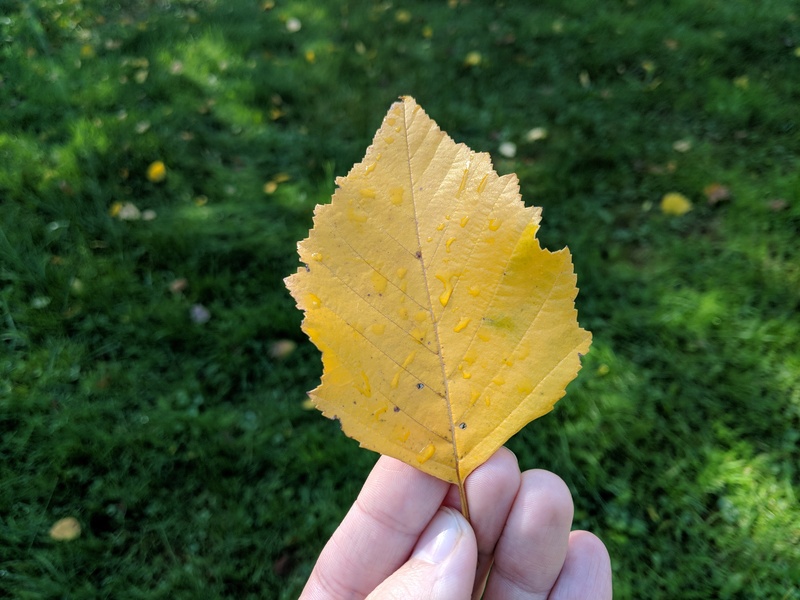 There are two ways to access Lens on the Pixel 2, and both of them are part of Photos. After you take a picture, open the gallery interface and look for the Lens icon at the bottom. That'll launch Lens right from the image preview. The other route is to open the Photos app, pick an image, and look for the same button. 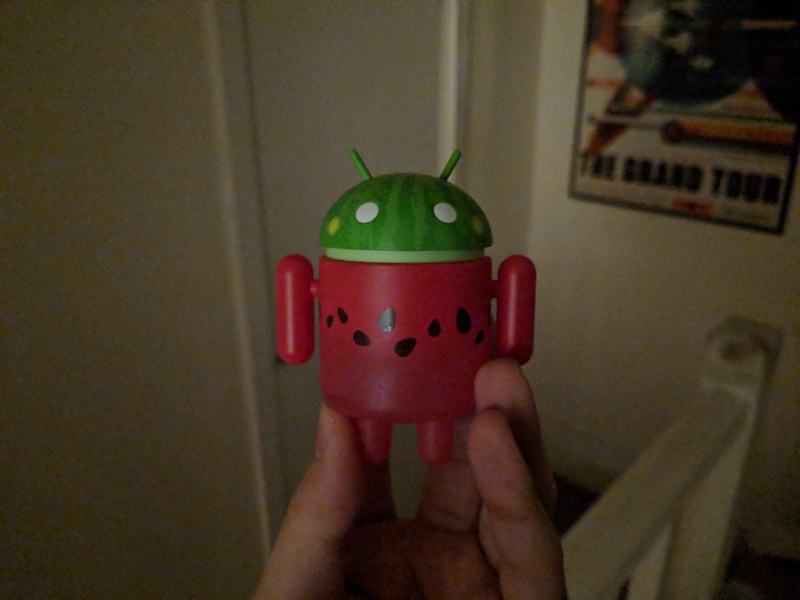 This works on any picture you have in Photos, whether it was taken on the Pixel 2 or not. Lens is supposed to be good at picking out text, barcodes, landmarks, and so on. Remember Google Goggles? 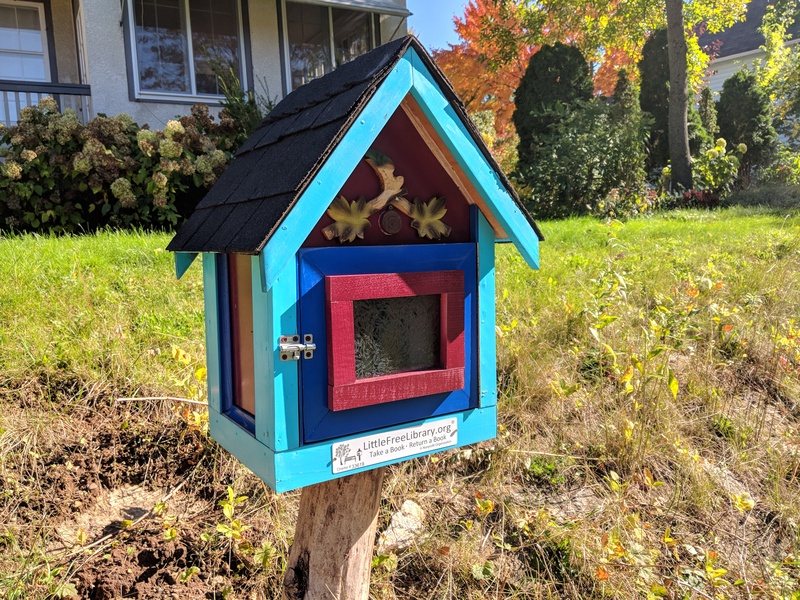 This seems like a similar idea, but hopefully it's more capable. I've had good results with locations—it does pick up landmarks extremely well, probably thanks to all that Street View data. It's also good at finding phone numbers and addresses. If all else fails, Lens will just look for visually similar images. Lens still seems to be of limited usefulness, but this is something that will evolve over time. I worry we could end up with a Google Now On Tap situation where Lens can do some cool stuff, but no one remembers to use it. 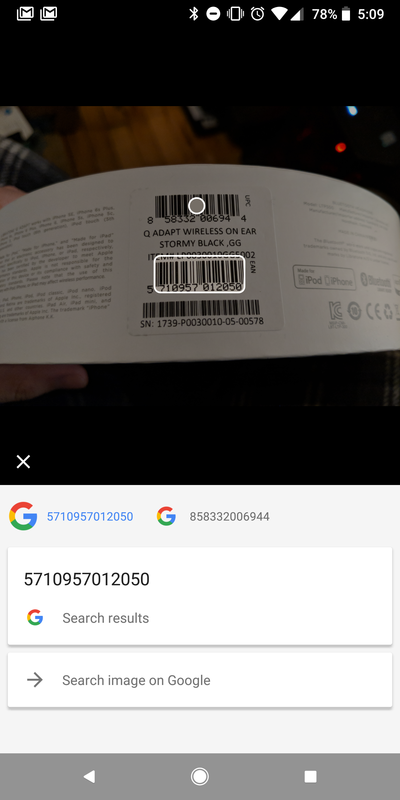 It'd be nice if there was some way for Lens to scan photos proactively and let you know when it has useful information. I'm not going to pretend the Pixel 2 and Pixel 2 XL are perfect phones. 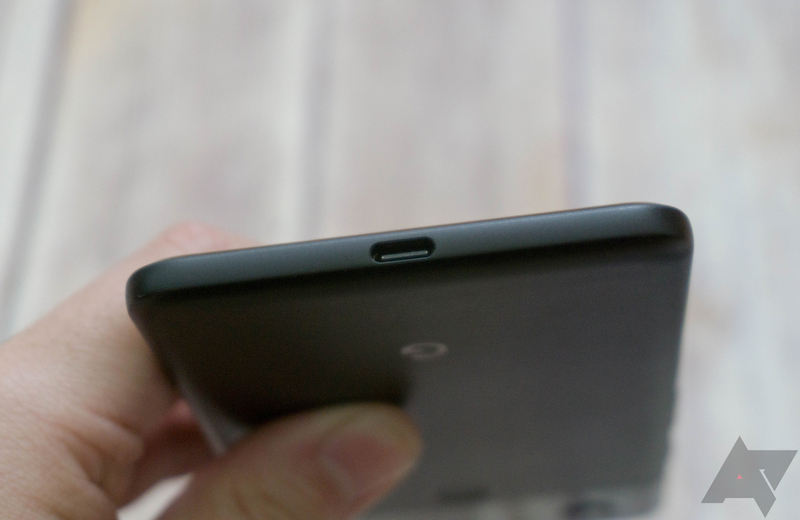 The removal of the headphone jack is lame, and the smaller Pixel 2 still has too much bezel. I'd also like more control over Active Edge. 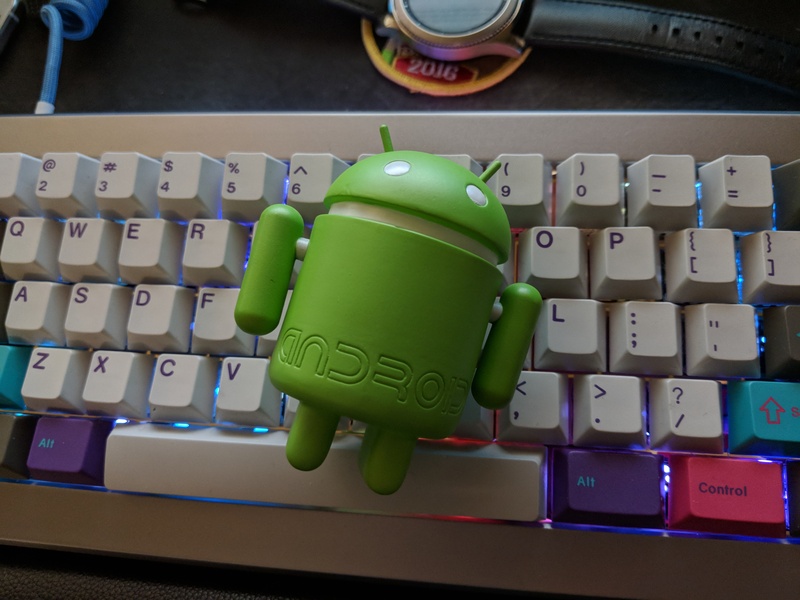 If you already have always-on "OK Google" configured, the squeeze is a bit redundant. In almost every other way, these are fantastic phones. Google made some nice improvements this year. The Pixel 2 XL's design is vastly more modern, and both phones are water-resistant. The new OLED display is surprisingly good—it doesn't have any of the issues I saw with the V30, and the colors are rendered very accurately. Google also sped up the fingerprint reader, which continues to be on the back. That's the right place for them, and everyone knows it. Even Bluetooth is better this year; I can carry the phone in my pocket without a crackling, fussy connection. I love the camera on these phones. 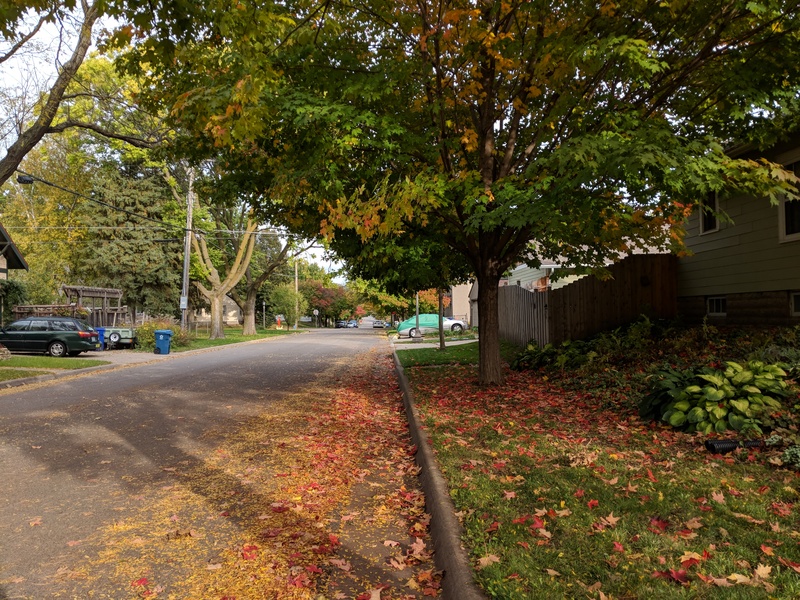 Google's HDR+ processing shows how important the software side is. Phones with similar hardware have no hope of producing such awesome pictures because they lack the post-processing capabilities. I don't think phones need secondary cameras right now, but it does make portrait modes better. 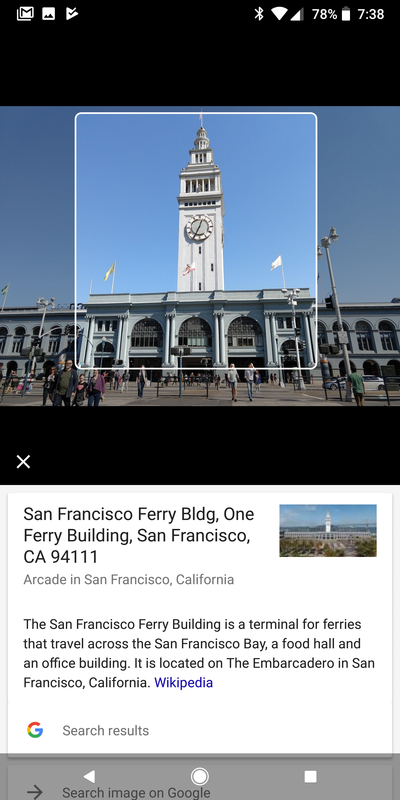 Google's version relies entirely upon software to find the foreground and background, and the results are not great. Portrait mode is not something I care about a great deal, but some people place importance on it. 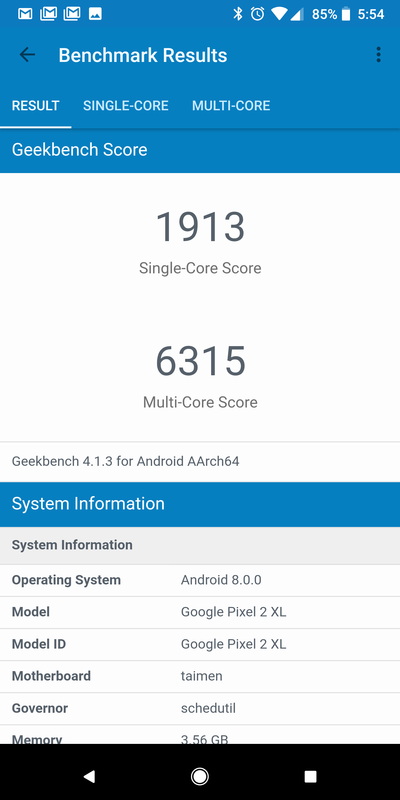 Most of what makes the Pixel 2's software great is what you already have on the 2016 Pixel running Oreo. It just adds some bits here and there to improve the experience. There's the revamped home screen (although I'm not sold on the search box at the bottom), always-listening music ID, and Google Lens. On that last count, I've been generally impressed with Lens, but I'm worried it'll be easy to forget it's there. I want Lens to be a bit more proactive in the camera and gallery. The Pixel 2 XL is the phone to get right now, provided you can live without a headphone jack. It has the best software, camera, and update prospects of any Android device. The regular Pixel 2 has all that too, but it's not as attractive with those big bezels. That's by no means a deal breaker, though. If you can't handle a 6-inch phone, the 5-inch Pixel 2 is the best you'll find in that size range. Google is selling these devices on the Google Store with no-interest financing, and Verizon has them in stores. You can probably swing by your local Verizon shop if you want to see what they feel like before committing.